This week has been an odd one, as I went back to uni I expected to be all motivated and busy but i’ve been the complete opposite. Next week i’m gonna have to knuckle down and get my motivation hat on! Made some very preempted summer purchases – I know, it’s freezing outside but i’m already thinking ahead to summer. I picked up this floral print tshirt dress from Primark, knowing full well it won’t be in store when the weather starts to get warmer and the bikini was reduced to £3 in Topshop! Went back to the gym – After a random break from the gym during the majority of December and with the classes starting back up this week, I thought it was about time I got my bum back in the gym! Had my first Starbucks of the year – As I popped to Merry Hill the other day I decided to grab a Starbucks on my way out. Caramel hot chocolate, yes please. It was strange to be drinking out of a red cup, what with Christmas long gone now! Tweaked my blog layout – I finally decided it was time for some change and i’m actually really happy with it after a few dilemmas and lots of google aided help. What do you think? Ordered my lusted after books – I finally went and bought IT and Lauren Conrad Beauty, after not getting them for Christmas and my student loan coming in, I didn’t second guess it and pressed ‘add to basket’. I can’t wait to start reading these, especially LC Beauty! Ate some tasty chicken – On Friday night I popped out for a little meal with a couple of the girls from college. 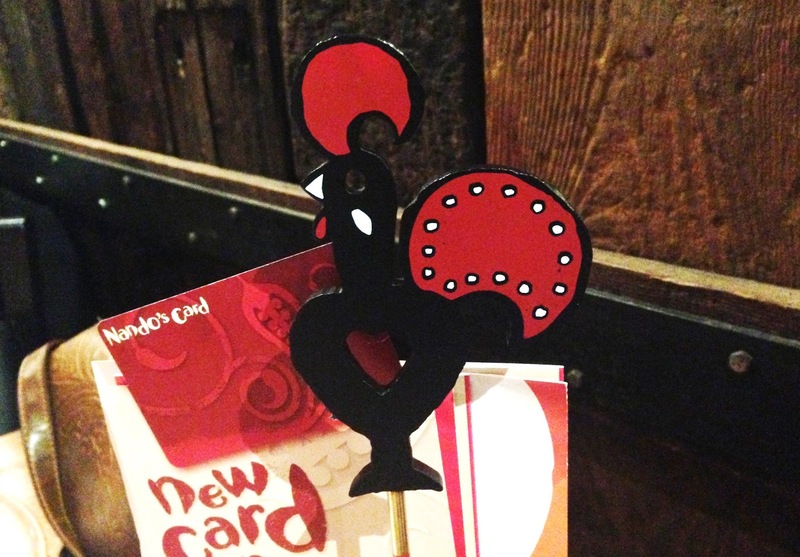 First Nando’s of the year and it’s rekindled my love for their tasty chicken!